During peak periods, car rental prices will increase due to additional surcharge. The surcharge amount is usually an additional $100 on top your rental fees. To avoid these charges, you should always try to book your vehicle early. 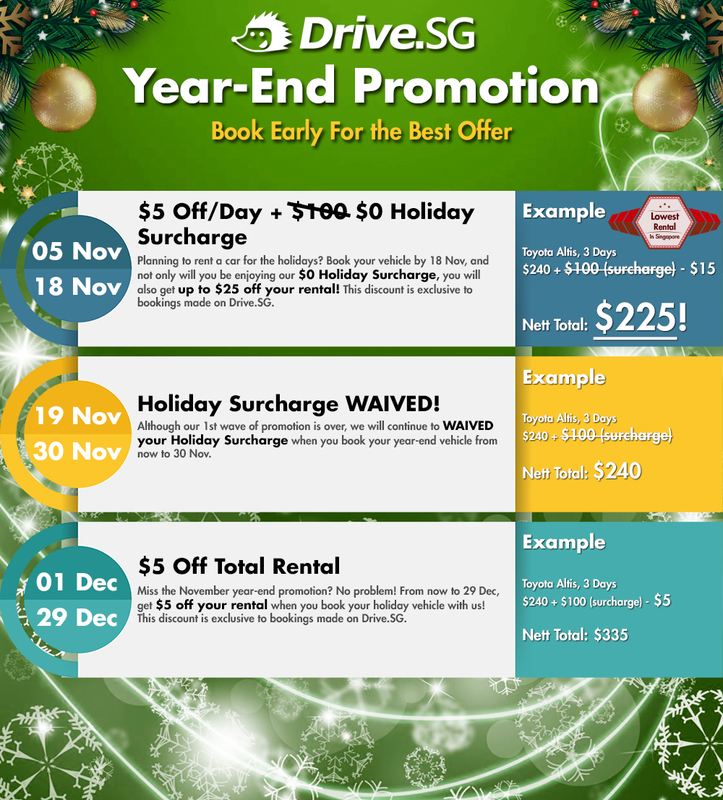 Drive.SG will be having a special year-end promotion this holiday season. Book your vehicle on Drive.SG before 30 Nov 2018 and enjoy $0 rental surcharge. In addition, if you book your vehicle by 18 Nov 2018, you get an extra $5 off your daily rental fee ( minimum of $240 rental fee applies ).